The last thing anyone wants to do is to eat a huge breakfast the morning of Thanksgiving because they want to have room for the delicious feast they will have later in the day. Of course you want to keep in easy with the thought of spending lots of hours cooking later. There’s some people who don’t eat at all in the morning because they want to make sure they have all the room for Thanksgiving dinner. Those are the types of people who end up cranky and crabby because they’re so hungry that you don’t want to be around them. Don’t do that to your friends and family - we have some light breakfast ideas! Protein Pancakes. Pancakes are a favorite for almost everyone alike! Pancakes can be full of sugar which can lead to you crashing later - save the sugar and use protein pancakes, these will keep you going longer and you won’t have the crash. Oatmeal. Oatmeal is one of the easier things to make because it requires minimal effort but you still get a warm breakfast. You can add lots of toppings from fruit to brown sugar to make it more filling. Eggs with veggies. Eggs are a great breakfast option because they’re full of protein which will take you to the feast later on. Adding veggies is a great addition because they’re still light but you get to eat more. If you really are hungry - eggs, of course, go great with bacon or sausage. Yogurt with granola & fruit. This may be the easiest option because you can throw this together in a matter of minutes. It’s also a classic breakfast. If you are traveling and want some space away from your friends or family who are hosting you - come stay with us! We have 7 guest rooms and we serve breakfast daily, don’t worry we will be serving a light breakfast on Thanksgiving so that you can still save room for the big feast. 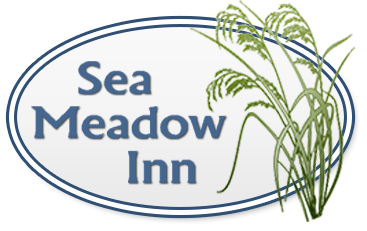 Call us at 508-896-2223 today or contact us on our website with any questions or to book your stay.